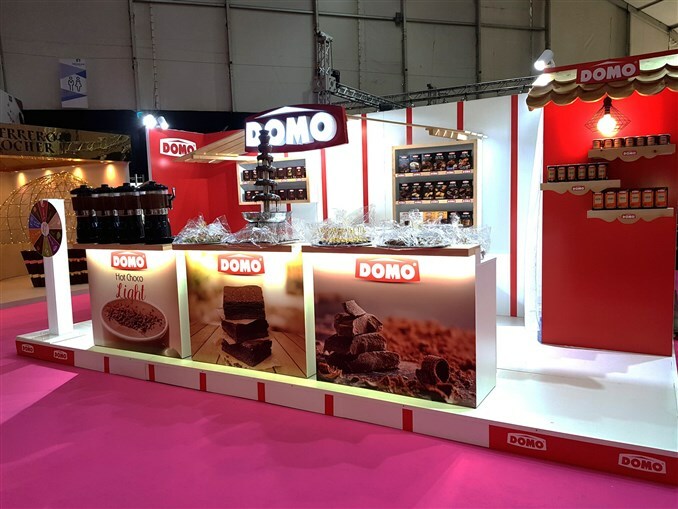 In the 5th edition of Salon du Chocolat 2018, Domo shared its passion for chocolate with more than 15,000 food lovers on November 8-10 at Seaside Arena-Beirut. 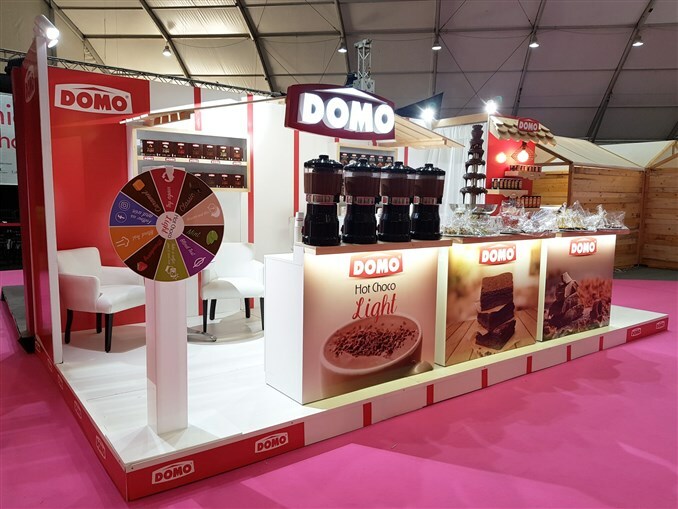 The leading Lebanese manufacturer of powdered goods displayed a tempting chocolate fountain and showcased its sweet creations in a homey, appealing stand, where hearts were melting over the taste of Domo’s Hot Chocolate, Brownies, Cookies, Cakes, and Muffins. Visitors also got the chance to spin a wheel of fortune to win various prizes, and interact with the renowned Lebanese influencers; Yasmina Audi, Nicole Maftoum known as EatLikeNicole, and Jane au Chocolat. 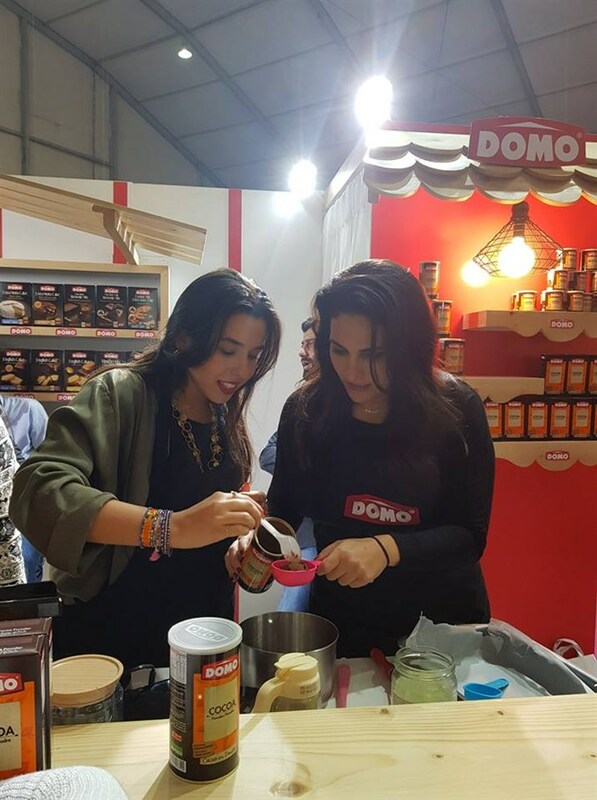 Using Domo’s cooking aids and products, the foodies shared and prepared their own mouthwatering recipes with everyone, leaving no craving unsatisfied. 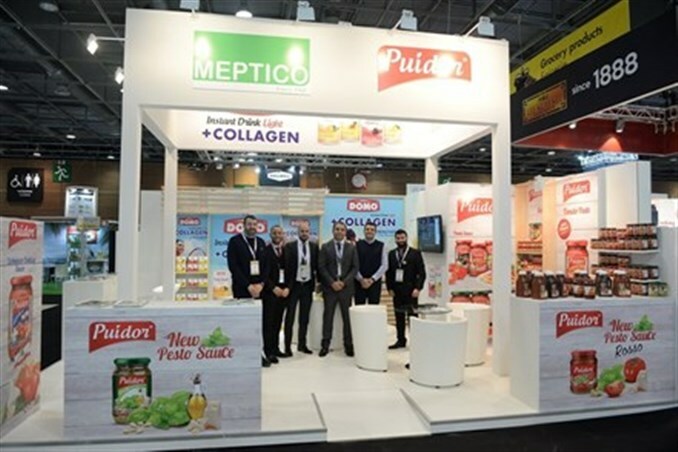 Another year and another success registered by Meptico at SIAL Paris, the world's largest food innovation exhibition held on 22-25 October, 2018. 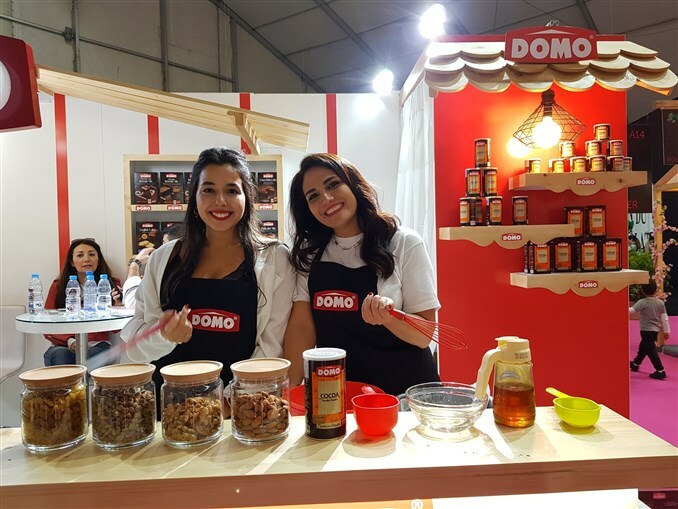 With an attractive and creative display, the leading Lebanese manufacturer of cooking aids and juices, proudly showcased its latest additions, from Domo’s groundbreaking Collagen Drink and heartwarming Hot Choco Light, to Puidor’s succulent Lebanese, Pesto and Pesto Rosso sauces. 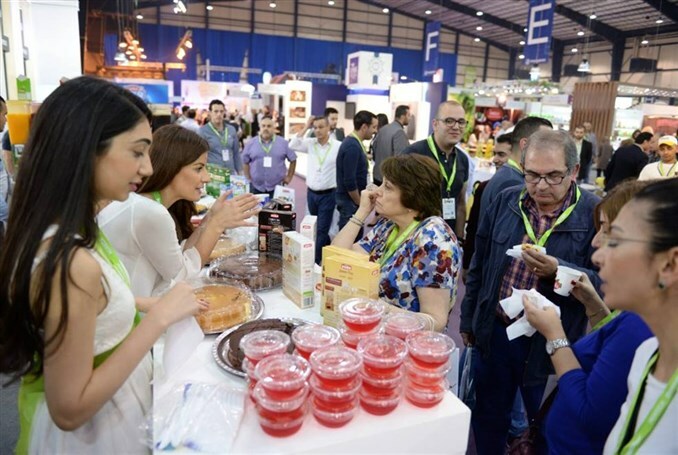 Health-conscious visitors and culinary experts from all over the world got the chance to taste Lebanese goodness and meet the company creating waves in the food industry. 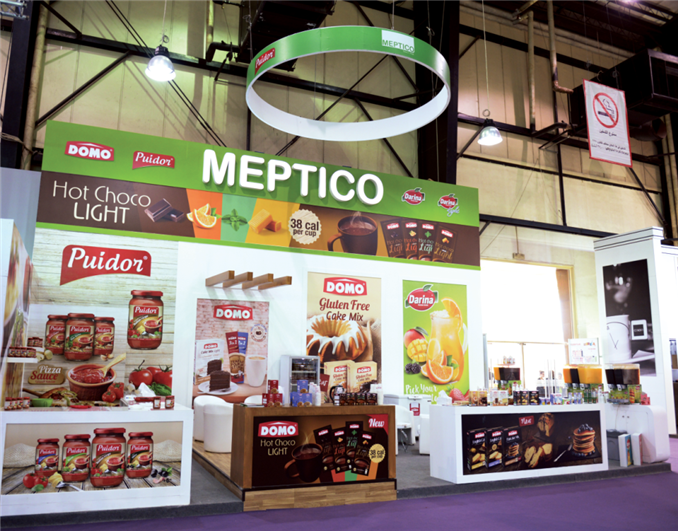 Like every year, Meptico participated once again in Gulfood, the world's largest annual food trade show. This year marked Gulfood’s 23rd edition, that took place in Dubai between the 18th and 22nd of February. 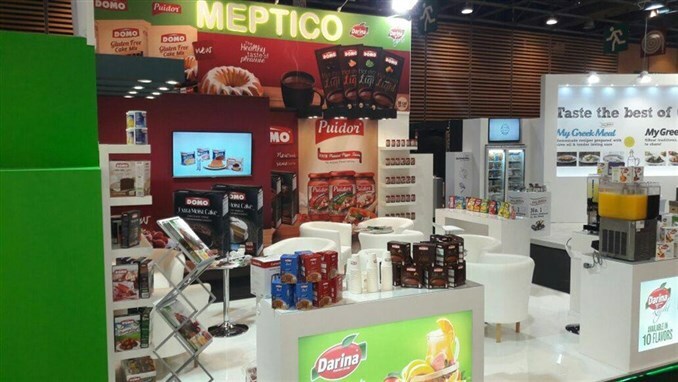 Meptico stood out with 2 stands placed in the Beverage section and the Lebanese pavilion. On the beverage side, the company focused mainly on Domo Collagen and Domo Hot Chocolate Light that recently launched 6 new flavours. 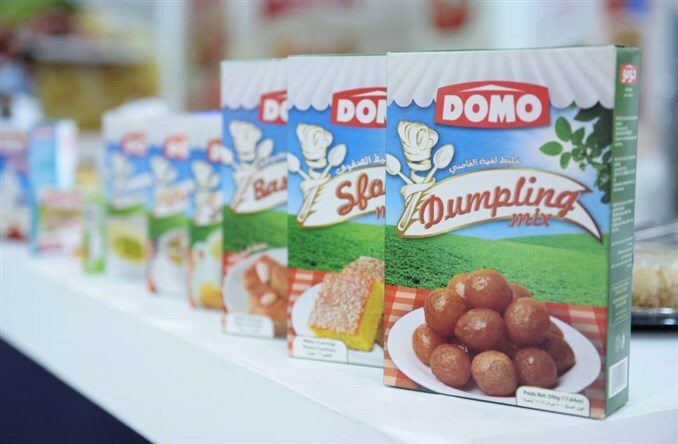 On the Lebanese pavilion side, Meptico highlighted Domo’s Gluten Free range along with Domo’s new line of black packs such as the Extra Moist Cakes, Muffins, and Pancakes to name a few. 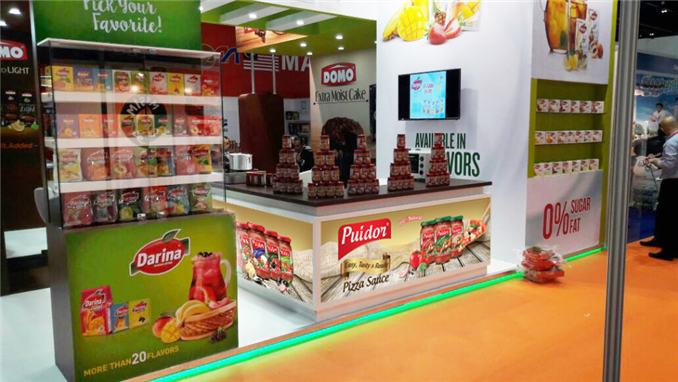 The company also launched Puidor Salsa Dip sauces, Puidor’s latest invention, accompanied by a tasting to the public. And finally, this year being Meptico’s 50 years anniversary, the company highlighted this milestone through a 50-year refined branding theme on both stands; promising to keep on offering Trust, Innovation and Quality to new and loyal consumers. Meptico, the leading Lebanese manufacturer in powdered goods in the Middle East and North Africa, participated in the Gulfood 2017 exhibition, known as the world's most important annual food and hospitality trade event, held at Dubai Trade Center – at Meptico Hall ZA-B5, from February 26th till March 2nd. 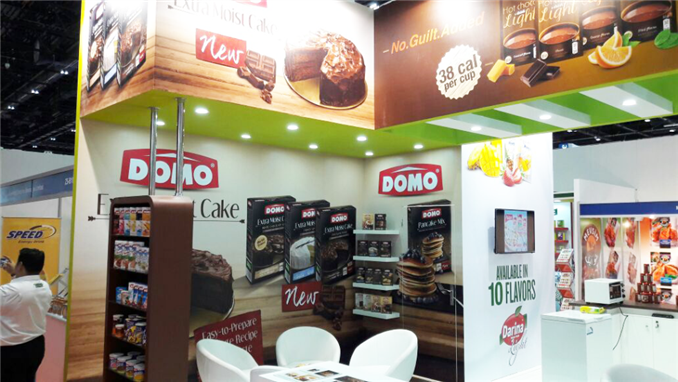 The Company exhibited its 3 main brands, Domo, Darina and Puidor in a display area of over 54 sqm, offering its visitors a magnificent experience as well as delicious samples and introducing them to its latest creations: Domo Hot Chocolate Light and Domo New Extra Moist Cakes. Gulfood 2017 proved once again to be a massive success to Meptico that is already looking forward to 2018, aiming to pursue its innovative ideas and enlarge its unique range of products with many surprises to come. Meptico once again dazzled the crowds at the October 16-20, 2016 international food exhibition SIAL in Paris. 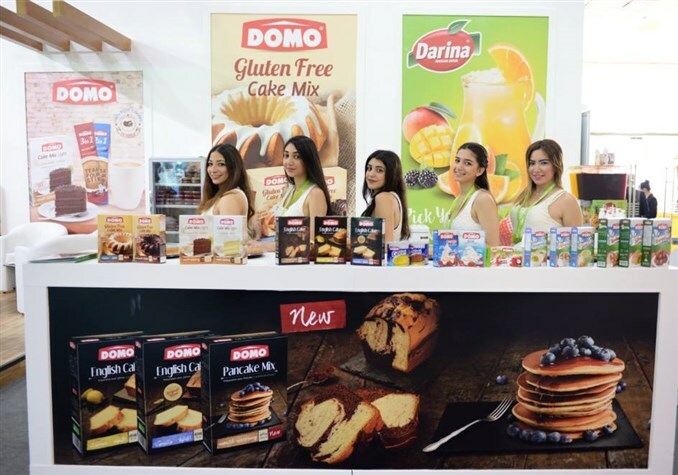 The leading Lebanese manufacturer of powdered desserts and juices in the MENA region put on an impressive and colorful display of its latest and leading brands including Puidor Pasta & Pizza Sauces and Domo’s hottest moist and English cakes. 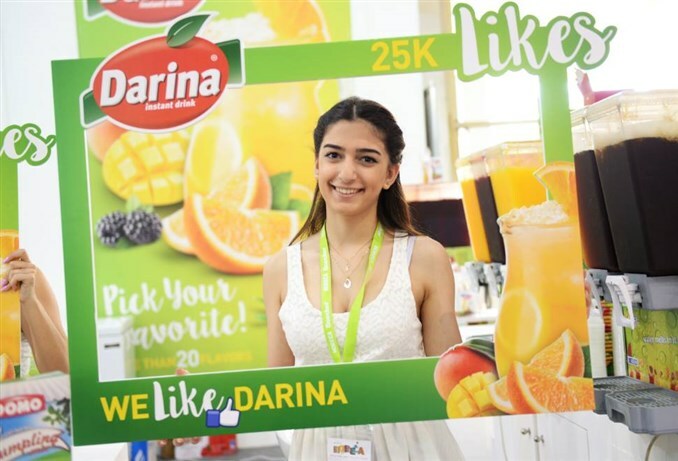 Visitors’ and consumers’ taste buds turned euphoric after sampling Darina’s regular and light powdered thirst quenchers and Domo’s Hot Choco light drink. Health aficionados and seekers of innovative and mouth-watering foods and deserts who excitedly crowded our imposing stand were reassured of Meptico’s participation in the next show. 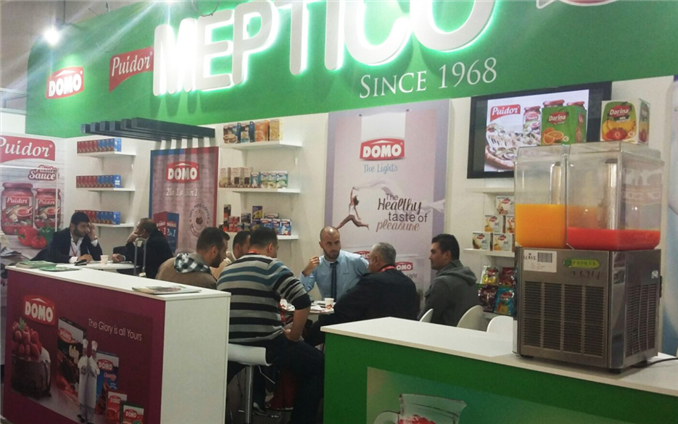 Meptico, the leading Lebanese manufacturer in powdered goods in the Middle East and North Africa, participated in HORECA 2016, Lebanon’s yearly anticipated hospitality and food service exhibition, held from 5 to 8 April 2016 at BIEL, Beirut. 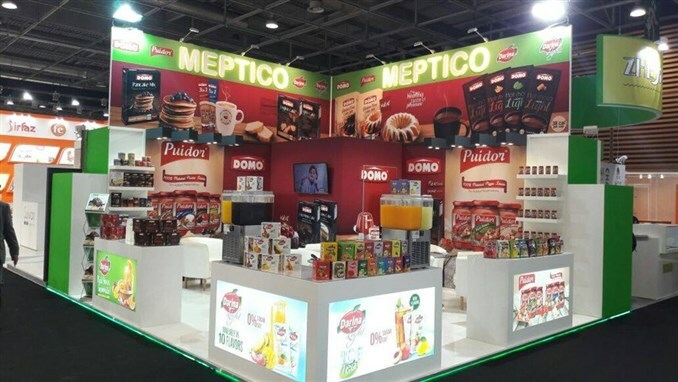 The company’s 3 main brands, Domo, Darina and Puidor were exhibited in an extensive modern stand, where visitors tasted delicious samples of Meptico’s newest creations: Domo Hot Choco Light Drink, Domo Basbousa and Sfouf Mix, Domo Gluten Free Cake and Puidor’s Pizza & Pasta Sauces. Horeca 2016 was an opportunity for Meptico to establish itself as a leading and growing player of Lebanese industry by displaying its expertise, constant innovation and creativity. 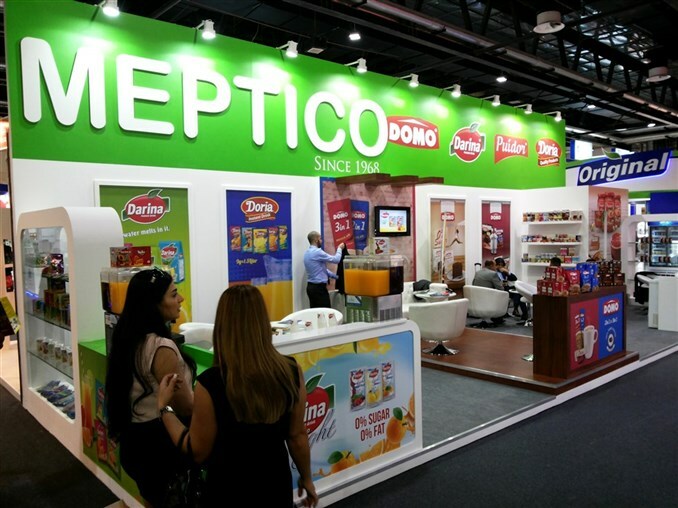 Meptico, the leading Lebanese manufacturer in powdered juice and desserts in the Middle East and North Africa, took part in Gulfood 2016, the world's biggest annual food and hospitality trade event, held at the Dubai Trade Center from February 21th to February 25th. 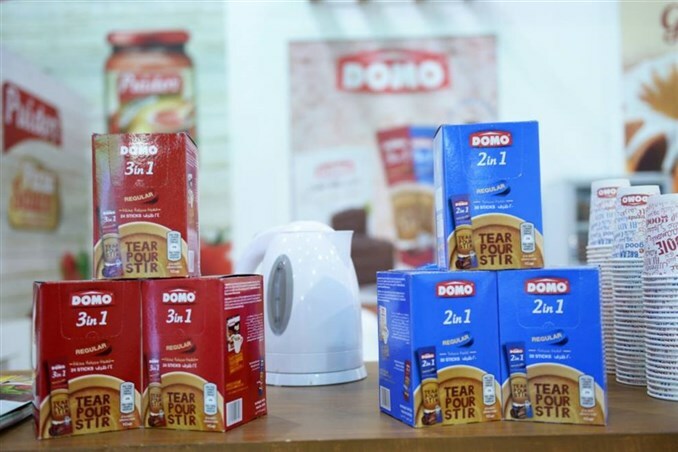 The company exhibited its 3 main brands, Domo, Darina and Puidor in a display area of over 48 sqm, offering its visitors delicious samples and introducing them to its latest creations: Domo Hot Choco Light and Domo Cakes. 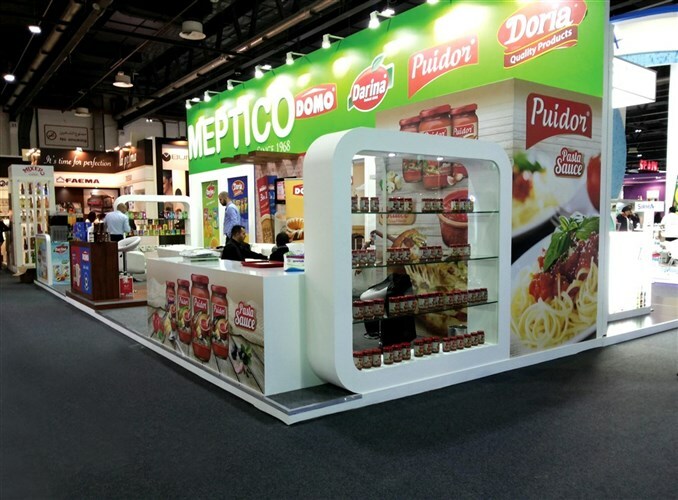 Gulfood 2016 proved once again to be a great success to Meptico, who is already looking ahead to 2017 to continue innovating and expanding its range of products with many surprises to unveil. 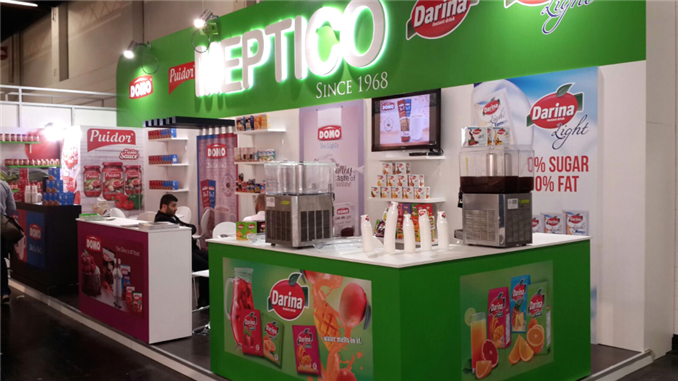 Meptico, the leading Lebanese manufacturer of powdered desserts and juices in the Middle East and North Africa, participated in the world's leading food fair for retail trade ANUGA 2015, in Cologne, Germany from the 10th till the 14th of October. 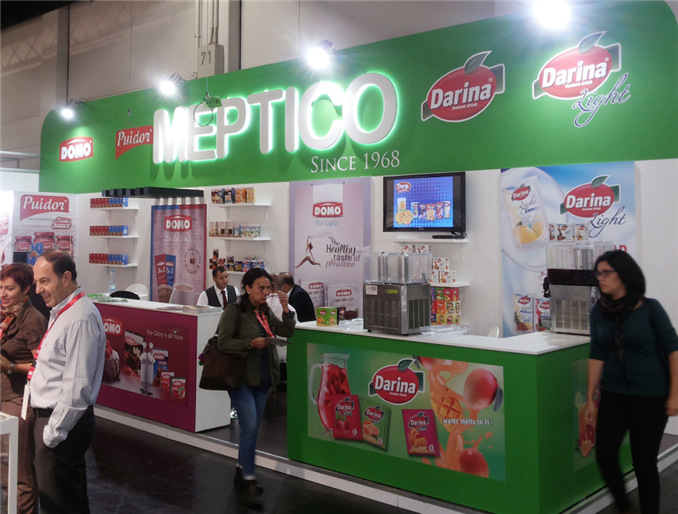 Meptico's 33 sqm attractive stand was designed to welcome a large number of visitors, who were able to take a close look at the company's wide range of products, discover its sundry delights, while tasting Darina's refreshing juices. 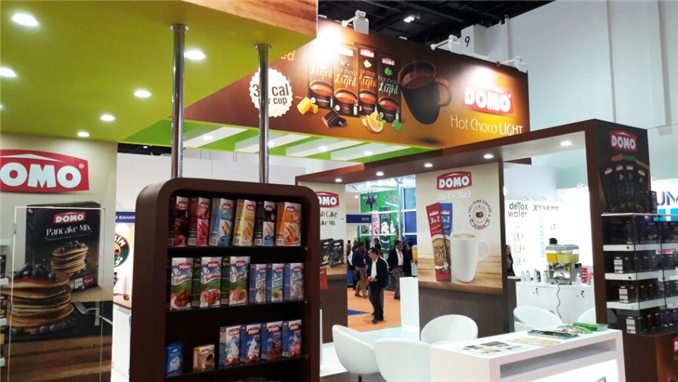 The stand featured the Company's signature brands; from Darina's regular and light powdered juice, Domo's various powder desserts to the new Domo Instant Coffee and Puidor sauces. The Anuga exhibition was a great success to Meptico's team, who is looking forward to take part of it coming years, with an array of new and exciting innovative products!